Siemens will highlight the role of digital technologies in the region’s expanding food and beverage manufacturing sector at the upcoming Gulfood Manufacturing in Dubai, UAE. Siemens will demonstrate how industrial enterprises of all sizes can use the digital transformation to achieve consistently higher levels of product quality, plant availability, resource efficiency and flexibility, in order to meet individual customer requirements at the event running from November 6 to 8. “As industrialization gathers pace in the Middle East, manufacturers must embrace the digital transformation to accommodate rapidly changing consumer expectations,” said Athar Siddiqui, executive vice president of the Digital Factory division, Siemens Middle East. Rapidly changing consumer expectations are placing companies under increasing pressure to turn around ever more customized products within the shortest possible time, and all to an optimum, consistent standard of quality. The key to successfully addressing this challenge is digitalization. It allows companies to simulate, test and optimize products, production processes and plants in a totally virtual environment on the basis of a ‘digital twin’. 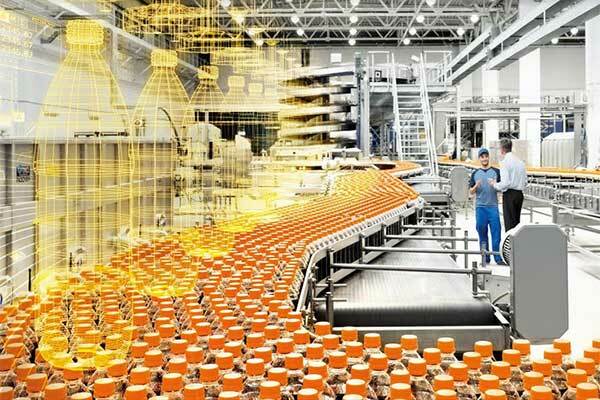 The digital twin of a product, machine or whole plant enables manufacturers to respond to rapidly changing market demands at every stage, utilizing data and end-to-end automation from the product idea to the manufacturing, filling, packaging and labelling. When creating a recipe for a new product, for instance, data relating to the ingredients is transferred directly to the label, taking into account legal rules and regulations. It also makes it possible to test out planned changes to the plant and what effect they will have on production capacity. This capability permits the food industry – as applies in general to all sectors of the manufacturing and process industries – to significantly increase its innovation speed and boost its productivity, and also to take the lead in defining whole new business models. For example, the scope offered by digitalization enables consumers to design products and packaging in line with their own personal tastes, allowing customized, individual products to be mass produced.